Shirshendu Mukhopadhyay (born 2 November 1935) is a famous writer in Bengali language. His stories for younger readers are as famous as those aimed at adults. 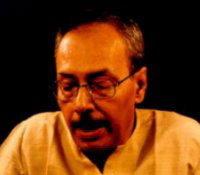 Shirshendu Mukhopadhyay was born in Bikrampur ( currently in Munshiganj District), now in Bangladesh. He spent his childhood in Bihar and many places in Bengal and Assam accompanying his father, who worked in the railways. He passed intermediate from the Victoria College, Calcutta before taking a Masters in Bengali from the Calcutta University. Shirshendu started his career as a school teacher and is now on the staff of the Ananda Bazar Patrika at Kolkata. He is associated with a Bengali magazine called Desh. Spiritually, Shirshendu is heavily influenced by the hindu sub-sect of Anukul Thakur. Many of his books are dedicated with a salutation 'Ra-Swa'. Ra-Swa stands for Radha Swami (this is a standard salutation for followers of Anukul-Thakur). His first novel Ghunpoka was published in the annual Puja edition of Desh. His first children's novel was called Manojder Adbhut Baari. Bipinbabur Bipad has generated a comics. Artwork by Swapn Debnath actually have the real essence of the original story in the comics. The 48-page comics was published in monthly issues of Anandamela (Sept 2006 to Dec 2006). Another story Nababganjer Agantuk, is now in the process of becoming an interesting action comics by Visual Literature Entertainment, a group of new generation comics creators. Shirshendu Mukhopadhyay showed equal talent in writing thrillers like Shada Beral, Kalo Beral, and even started a series with detective Shabar Dasgupta in the lead. But somehow this series did not click among his readers, so he discontinued writing this series.
" Sahitya Akademi award (1988)-for his novel Manabjamin.